Hello lovelies! I am back yet again with a new Halloween tutorial. Did you all love all the features this morning. I love seeing what others are doing for Halloween. Gives me so many great ideas. Laura, from Come Together Kids, is having some Halloween fun as well this Month. She has a fun post of five fun things to do for Halloween. Check it out. 2 ideas are from yours truly! I found a pack of 2 plates in the dollar section of Target. Man I love that section! 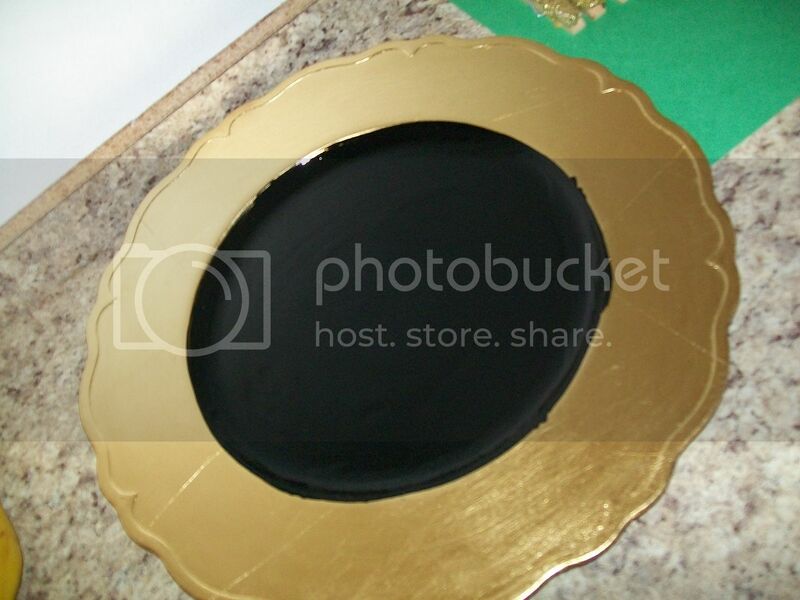 The plates were $2.50 and were originally gold. Well that wasn't going to work for my project. 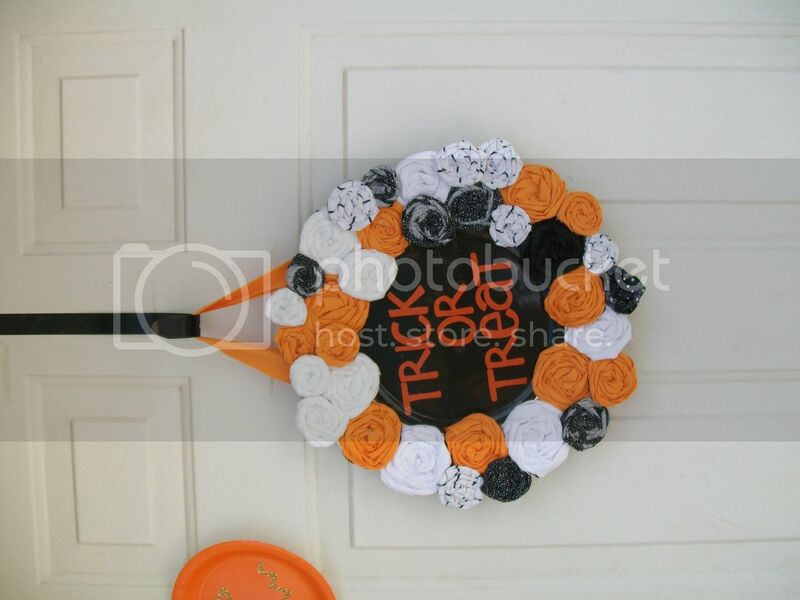 I had a rosette wreath in mind for my front door, and black and orange were going to be my choosen colors. I started working with one plate, the other I am saving for another project. Stay tuned for that one. I took black acrylic paint and began painting the middle. I knew my rosettes would cover up the gold edge. I then spent much time hot gluing rosettes to my plate. This took FOREVER. No lie. This is a project where you pop in a chick flick and relax. I choose to watch General Conference instead. While my littles did play-dough and colored, I worked on this. 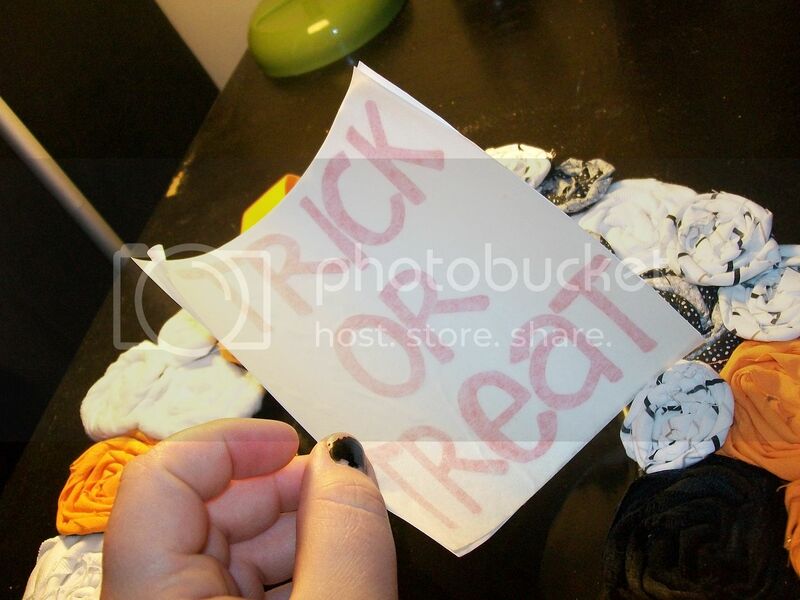 I then had my sisterinlaw print me out some vinyl. I added the vinyl, added some fabric to hang it and viola! 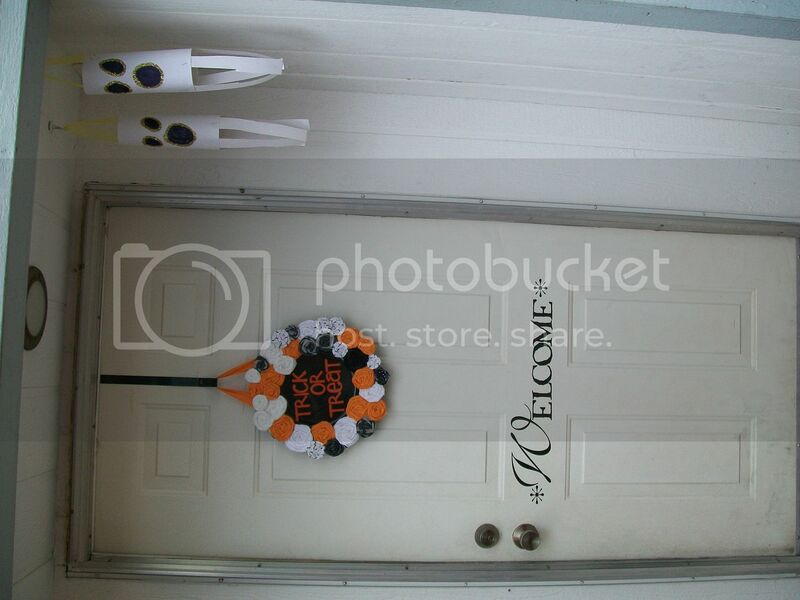 I had a fun new, festive Halloween Wreath for my front door. 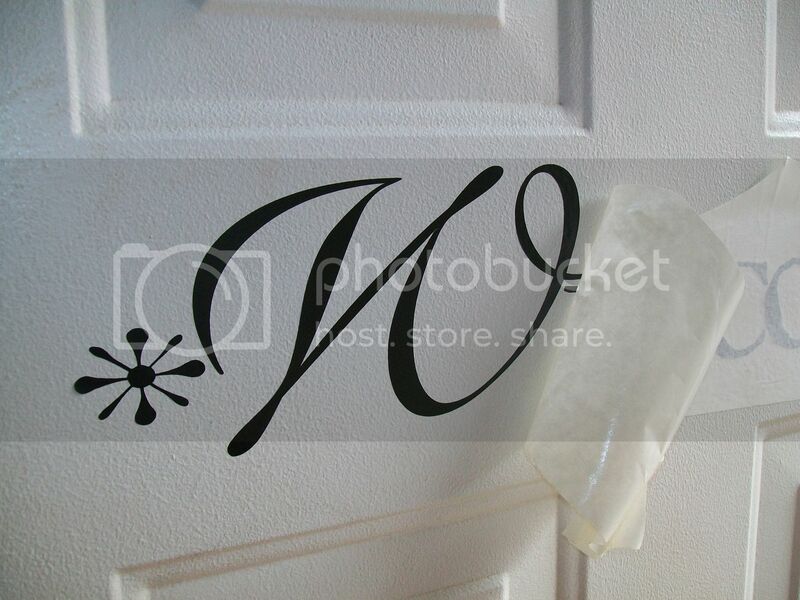 While I had my sisinlaw print out vinyl for my wreath, I had her print some out for my front door as well. 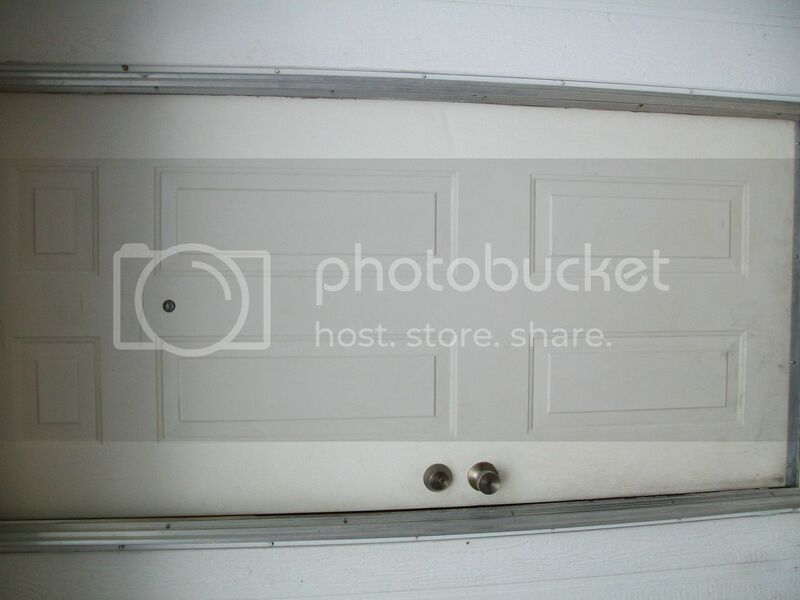 Here is what my door looked liked before. I know so BORING! Here is it now. I love it! So there you have it. A short and sweet Halloween wreath for you all to try. Hope you all are having a fun week and crafting up a storm. I am thinking of a Halloween Carnival Link up for this weekend, which will run all month. Look out for that. Have a spooky night! 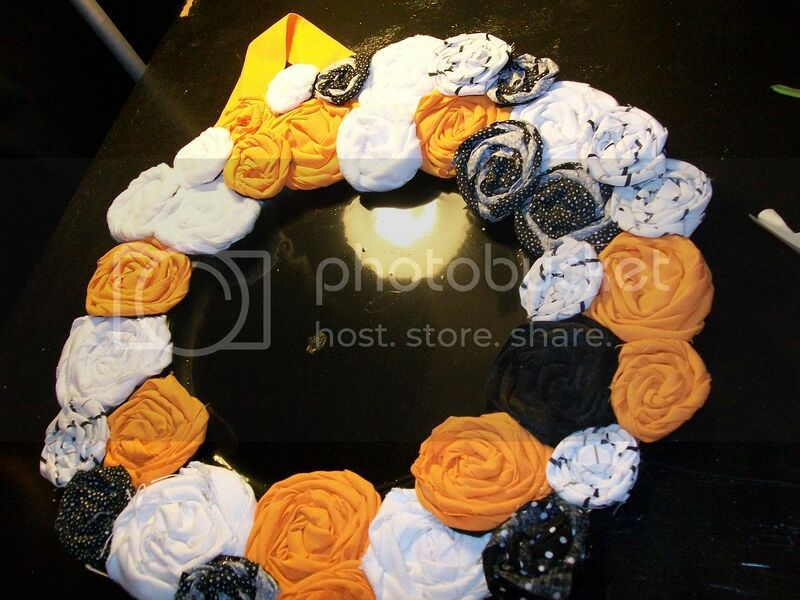 The Halloween Wreath is absolutely gorgeous. Going on my pinterest board for inspiration. You rock, girl!! 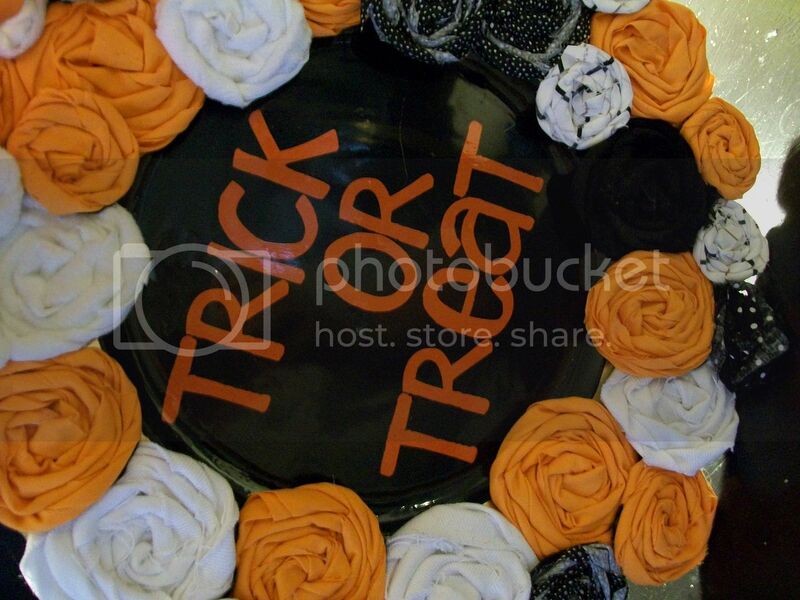 Beautiful rosette wreath. I would love for you to share at Bacon Time. I have a weekly linky anything goes (even etsy) fri-mon, and a Fall ongoing linky you are welcome to join. Come strut your stuff. So cute!! I love it! I am your newest follower!! I love your blog!! I would love it if you stopped by and said Hi!! This looks awesome. I'd love for you to link it up to my Wickedly Creative Halloween Ideas Party. I'd love for you to share it on my link party on Wednesday... I hope to see you there! I love this! What a clever idea to use a plate! Really love this! Very cute! I love your wreath! Thanks for linking up for Friday Favorites. I'm featuring you this week. Come by and grab my featured button if you'd like one. I love that you glued these onto a charger. I would have never thought of that! So, i know this is late, but you're being featured tonight from linking 2 weeks ago. Love, love, love! I am your newest follower! That is so adorable! 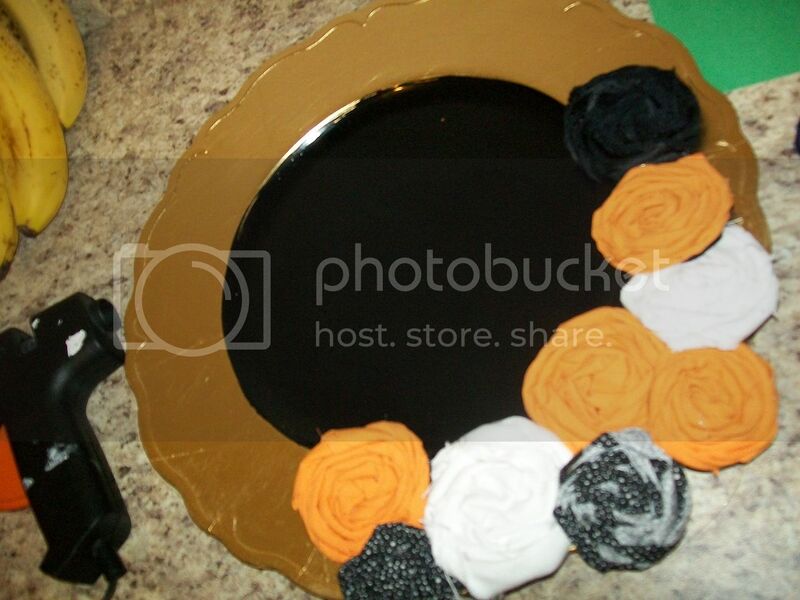 I love that you made a wreath from a plate...so creative! Stopping by from TT&J. Hi stopped by via EisyMorgan! And had to do some exploring on your blog!! You got great ideas... Especially this one you posted to the link up... Wish I had more time to try it. I'm thinking I'll try one out for Christmas! What a cute idea! How do you make the rosettes?